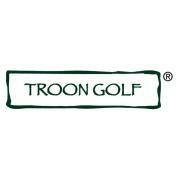 Headquartered in Scottsdale, Ariz., with international offices in Hong Kong, Australia, Switzerland and Dubai, Troon Golf is the world's leading luxury-brand golf management, development and marketing company. The upscale ambiance of the Southwestern lifestyle inspires the company's exquisite daily-fee, resort and private golf experiences. This dedication is presented professionally and graciously at over 200 golf courses in 31 states and 31 countries, making Troon Golf the world's largest upscale operator.